Amazon DSP is a demand-side platform that enables advertisers to programmatically buy display and video ads. Use exclusive Amazon audiences to reach your ideal audience on and off Amazon. Programmatically reach your audiences across both Amazon-owned sites and apps, like IMDb, and leading publishers’ sites through direct inventory from Amazon Publisher Services and third-party exchanges. We use both our own and third-party solutions, from manual site reviews to real-time bid evaluation, to uphold quality standards and brand safety. Self-service and managed-service options are available with Amazon DSP. Self-service customers are in full control of their campaigns, and there are no management fees. 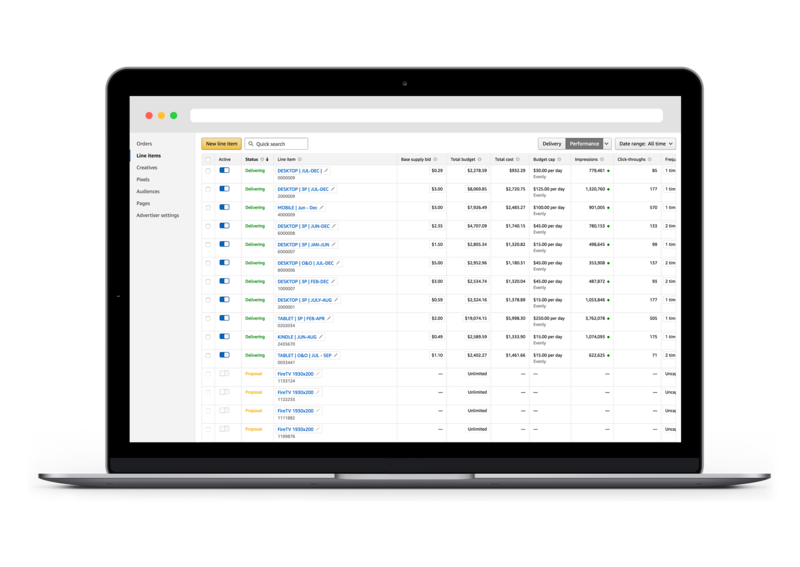 The managed-service option is a great solution for companies that want access to Amazon DSP inventory with white glove service or those with limited programmatic experience. The managed-service option typically requires a minimum spend of $15,000 CAD. To register for Amazon DSP, contact an Amazon ad consultant. Amazon DSP is available to both advertisers who sell products on Amazon and those who do not. Amazon DSP is best suited to advertisers who want to programmatically buy display and video ads at scale. What ads can I buy through Amazon DSP? You can purchase display ads and video ads using Amazon DSP.